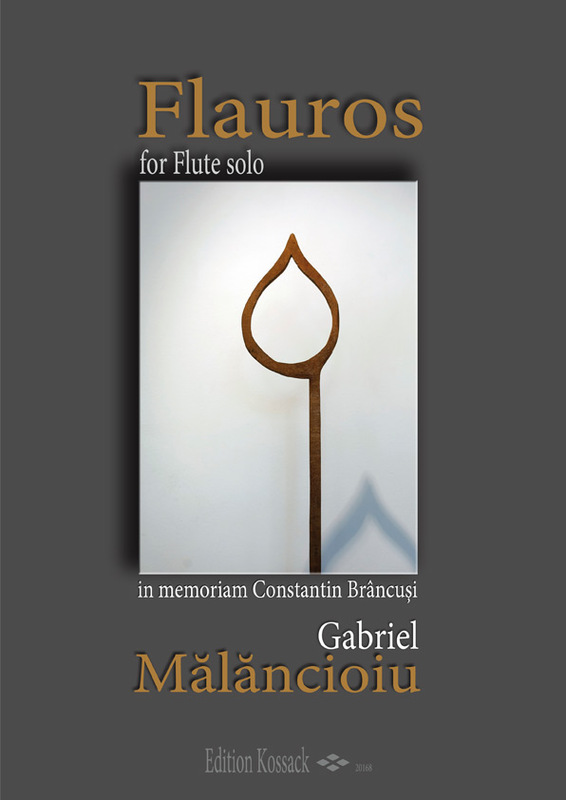 The archaic connotations of this composition are suggested by the title Flauros: a composition for solo flute which includes references to the aulos - a wind instrument dating back to ancient Greece. Flauros was inspired by the sculptures of Mihai Donici in his “Avant Brâncuși” exhibition as hommage to the great sculptor - Constantin Brâncuși. 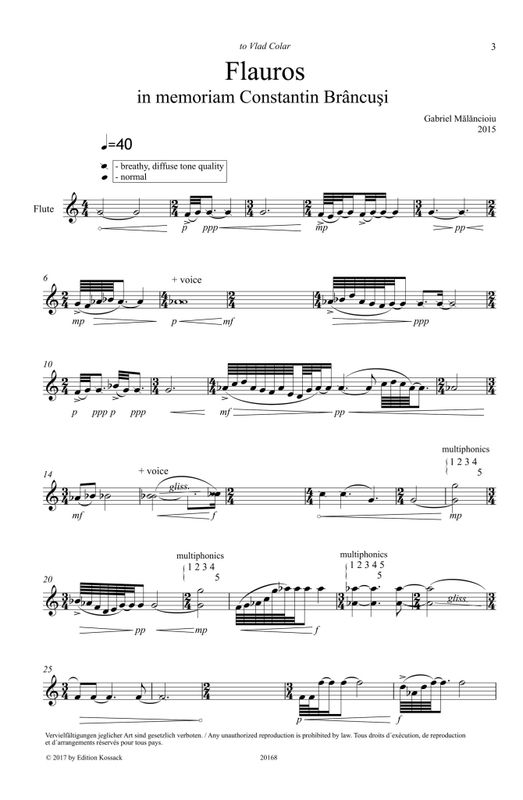 The link to ancient times is suggested by a sonic material with a limited number of pitches and the progressive movement towards the high register of the flute alludes to the spiritual dimension of the piece.